If you own a DSLR then you’ll eventually own a bunch of lenses. Which lenses you choose will come down to the subjects you shoot most often and your budget. The initial choices come down to if you own a crop sensor/APS-C or full-frame camera. The recent introduction of the EOS R range of mirrorless bodies further complicates this matter, but at this point, that lens range only has a few options so we are sticking to crop sensors and full-frame for this discussion. Luckily, Canon builds excellent glass with lenses for all situations. There will definitely be something in their repertoire to fit your needs, but each has its strong and weak points. There are further caveats, whereby a crop sensor camera from the Rebel to the 7D can use a lens design for a full-frame sensor. However, a full-frame body cannot use a lens made specifically for an APS-C camera body. When you’re starting out, a standard kit zoom lens can cover a lot of bases from wide-angle to telephoto. You’ll usually get a wider range than more expensive glass, but this can also be an advantage for testing out images for when you wish to invest in more expensive glass. The Canon EF-S 18-135mm f/3.5-5.6 IS USM is a great zoom lens and has a good range from quite wide to telephoto, with a quiet and fast autofocus, making it also ideal for video work. It also has the benefit of image stabilization (IS). 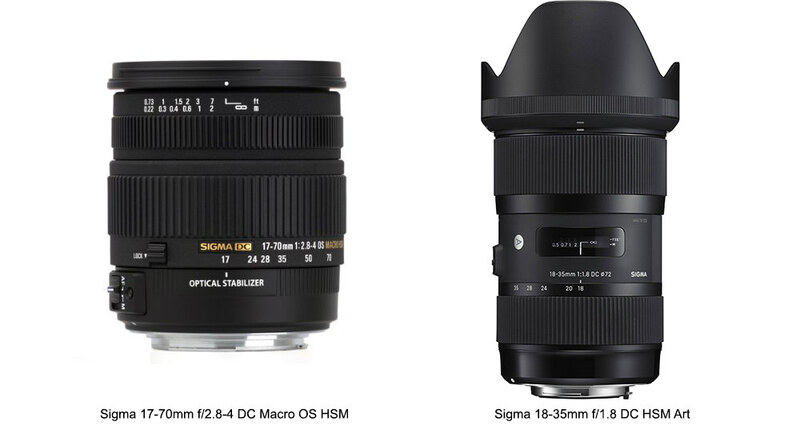 If you’re sticking to a budget with a zoom lens, then the Sigma 17-70mm f/2.8-4 DC Macro OS HSM is a good option especially if you’re on a budget, with the Sigma 18-35mm f/1.8 DC HSM Art if you really want to splash out. The Art lens has a more limited zoom range, but you benefit from the much better depth of field, working in low light, and image quality. For a zoom lens which covers even more ground, then you could try the Canon EF-S 18-135mm f/3.5-5.6 IS USM. Great image quality and also makes a good travel zoom. A great all-rounder zoom with the best in Canon glass around this range, then you really can’t go wrong with the 24-70mm L lens in all its variations. It maybe overkill on a crop sensor body, especially on a cheaper model body, but I’ve had a great results on the 7D and 7D Mark II. For wide-angle zoom lens, then the Canon EF-S 10-18mm f/4.5-5.6 IS STM is a good choice, with image stabilization. If you need to let in more light then the Sigma 10-20mm f/3.5 EX DC HSM can foot the bill, but the Canon does benefit from IS. If your budget can stretch then another option is the Canon EF-S 10-22mm f/3.5-4.5 USM. It too has f/3.5 and benefits from great image quality. To get more telephoto, then Canon’s EF 70-300mm f/4-5.6 IS II USM covers a lot of ground with a decent aperture range and with the benefit of image stabilization. Sigma has an equal focal length with the 70-300mm f/4-5.6 APO DG Macro, which is also very good value, but doesn’t have image stabilization. If you want to spend a bit more than you really can’t go wrong with the Canon EF 70-200mm f/4L IS II USM or even its much bigger brother the f/2.8 L. It’s a fantastic zoom lens great for sports or action work. Prime lenses in general can benefit from a smaller, more compact design and generally a wider aperture. Good picks in this department will be the Sigma 30mm f/1.4 DC HSM Art which is wide and lets in loads of light and the ultra compact Canon EF-S 24mm f/2.8 STM. Going macro for small subjects try out the Canon EF-S 35mm f/2.8 Macro IS STM, Tamron SP AF 60mm f/2 Di II LD IF Macro and the high end Canon EF 100mm f/2.8L Macro IS USM. For the standard zoom range on a full-frame body, in pecking order, you cannot go wrong with the Canon EF 24-70mm f/2.8L II USM, then the Canon EF 24-70mm f/4L IS USM. The Sigma 24-70mm f/2.8 DG OS HSM Art has all the features of the Canon, but if you want ultimate image quality, you can’t beat the Canon 24-70mm L.
You have a few options with wide-angle zooms, shortlists being the Canon EF 16-35mm f/2.8L III USM at the top end of the scale, Canon EF 16-35mm f/4L IS USM and then the Tamron 17-35mm f/2.8-4 Di OSD. For telephoto zooms you can’t beat the Canon EF 70-200mm f/2.8L IS III USM and cheaper Canon EF 70-200mm f/4L IS II USM. Both are top of the range, workhorse lenses and will last you for years. Another option is the Tamron 70-210mm f/4 Di VC USD. Finally, for small subjects try the Canon EF 100mm f/2.8L Macro IS USM with much-needed image stabilization when this close-up. 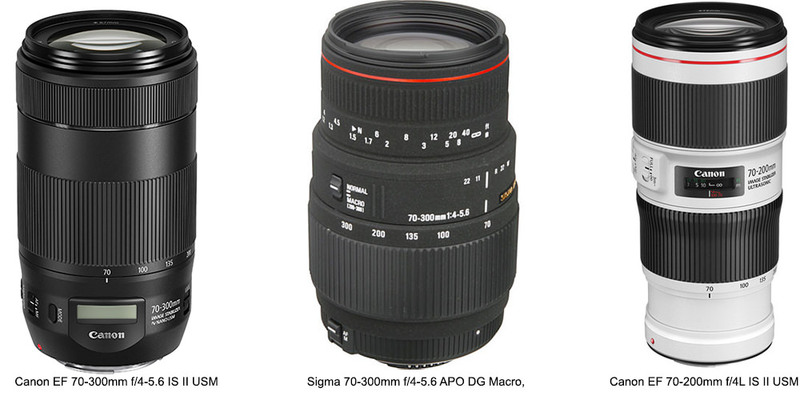 You can also look at the Sigma 70mm f/2.8 DG Macro Art and Tamron SP 90mm f/2.8 Di VC USD 1:1 Macro. 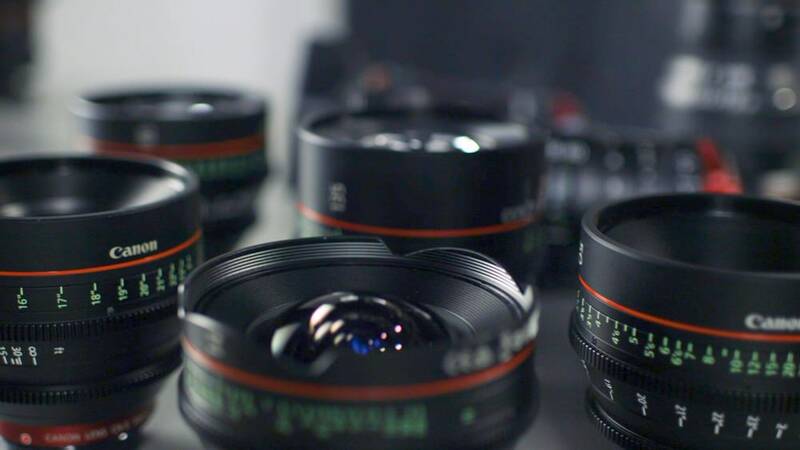 There are clearly quite a few budget to high priced lenses in the mix here which will give you the full spectrum depending on your budget and needs. Having a bunch of lenses in your arsenal will always give you a variety of options from primes to zooms. It’s not always feasible to be able to go out and buy a whole bunch of lenses to cover every situation, so test out a few for your shooting situation. In reality, many photographers stick to just a few lenses to cover all their needs. In many ways, you could argue a quality zoom lens or two is a very good option. If this is the route you want to go then the 24-70mm L and 70-200mm L, ideally with IS is a good way to cover the majority of situations. Both of these zooms have quality glass and could be used for anything from portraits, landscapes to action images. The argument between the quality of zooms and prime lenses nowadays is a close cut thing, but there is no denying the quality of lens like the tried and tested 135mm L for portraits or action shots. Ideally, borrow or rent a potential lens first of all before you take the plunge and see if it fits your needs.